My favourite ice cream flavour is bubblegum mixed in with nerds and marshmallows. Fast and furious pacing, snappy dialogue, crazy characters, funny scenarios! Charlie from Charlie and the Chocolate Factory, so I can explore and eat my way through Wonka’s factory. 1985, to grab all the original Nintendo games and sell them for big bucks on Ebay today! How come you haven’t clocked the new Mario game yet? Your reflexes are so slow, old man! My fans. Kids who give me ideas, energy and reasons to keep writing new books. My Year 3 teacher. I wanted to shock her with my wacky stories and succeeded many times. Well, I got in trouble but it was still a success in my eyes. Dinosaur. Because it’s something extraordinary that once existed in this world, it boggles the mind that they used to rule this place! The Bible, because I’ll always get something out of it as I get older. But if it had to be a kid’s book, probably Roald Dahl’s Revolting Rhymes, because it’ll always get a smile out of me. 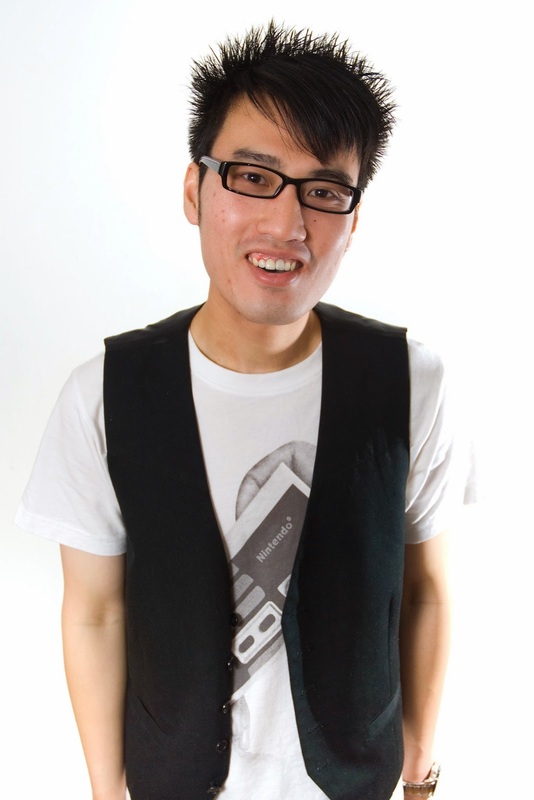 Thai-Australian author Oliver Phommavanh has written several popular junior fiction books including Thai-Riffic (KBR review), Punchlines and Con-nerd. 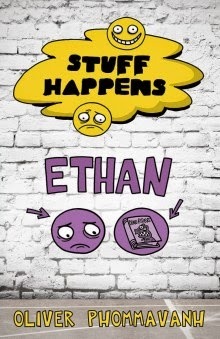 His latest book is Ethan, a title in the Stuff Happens series by Penguin Books. Visit Oliver's website and Facebook page for more information about his books and other projects. You can also chat with Oliver on Twitter.